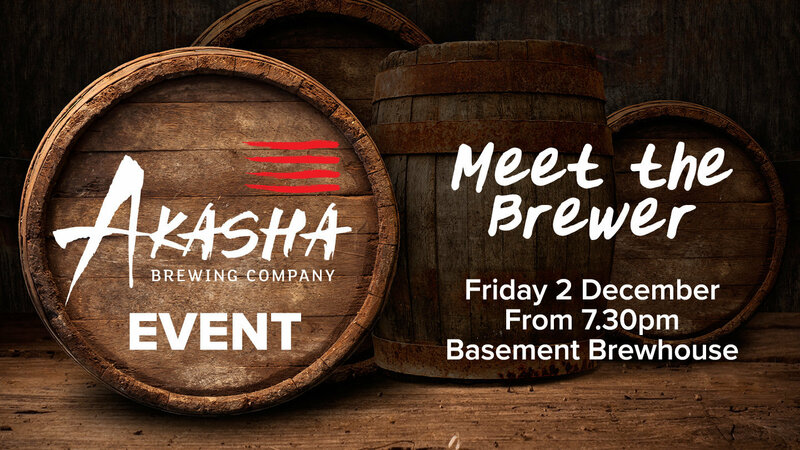 Bankstown Sports Club is pleased to announce it will host an exclusive meet and greet event with The Akasha Brewing Company at Basement Brewhouse on Friday, 2 December 2016. The Akasha Brewing Company was founded by Dave Padden and Wesley White in early 2015 and has quickly developed a reputation for award-winning, ‘hopcentric’ ales. Dave is the brewer and Wes manages the business. The word ‘Akasha’ comes from Hinduism and refers to the ‘unknown element’ that combines Earth, Water, Fire and Air, and it is the basis and essence of all things in the material world. The Akasha Brewing Company brings this concept beer making. While most beer is made from the four basic ingredients of malt, hops, water and yeast, the ‘Akasha’ is the spirit and soul that brings it all together. The Akasha team has a simple motto; brew the beer that they love to drink, and most importantly, have some fun while they’re doing it. Beer is their way of life. It is with the same enthusiasm and excitement that Basement Brewhouse announces an exclusive Akasha event on Friday, 2 December 2016. There will be samples of the Akasha beer range available from 7.30pm, including their Korben D. IIPA on tap. Akasha part owner and head brewer Dave Padden will also be on-site to answer all of your questions.